The King sport gains adepts in a country with a great sporting tradition, especially in matters such as rugby, cricket, hockey, tennis, basketball, Motoring or cycling. Thanks to this great growth, international football academies, such as soccer Inter-Action, they have in their ranks the members of the Ocean continent. January is synonymous with tennis in Australia. The country Aussie It monopolizes all the spotlights of the world of the racket thanks to Australian Open, one of the four Major tournaments of a sport tyrannized by Roger Federer, Rafa Nadal and Novak Djokovic, precisely three very amateur superstars Soccer, which since 2004 has hit the table thanks to the creation of the A-League, competition that is taking many young players ready to Dethrone to Legends like Tim Cahill, Harry Kewell or Mark Viduka. Beginnings are never easy. Soccer in Australia, called soccer by fans of this in this oceanic continent, has had to fight a lot to make a hole in the heart of the country Aussie. And it is that in Australia the culture of rugby and its variant ‘ Australian Soccer ‘ is very present in its population, who has seen how its great legends of the sport dominated as no one the oval ball. In addition, in Australia Sport is one of the basic pillars of its culture, so there is a wide variety of modalities in which thanks to the competitive attitude of its citizens have been conquering titles and writing pages and pages of gold in the history book of Australia. That is why soccer took a while to appear, but when he did not have a brake, especially thanks to the presence and passion that the Italian and Greek immigrants had for the sport European king. After a few years 80 and 90 in which the Federation of the country bet strong for the National Soccer League (NSL) but it cost to start and organize in an efficient and profitable way, came the turn of the glorious year 2003. This year was the great soccer boom in Australia thanks to the re-founding of the Australian Soccer Federation (FFA), which was further professionalized and gained prominence from the creation of the A-League (2004). How much does a football player in Australia earn? This competition would be in charge of replacing the NSL and until today has not stopped growing. 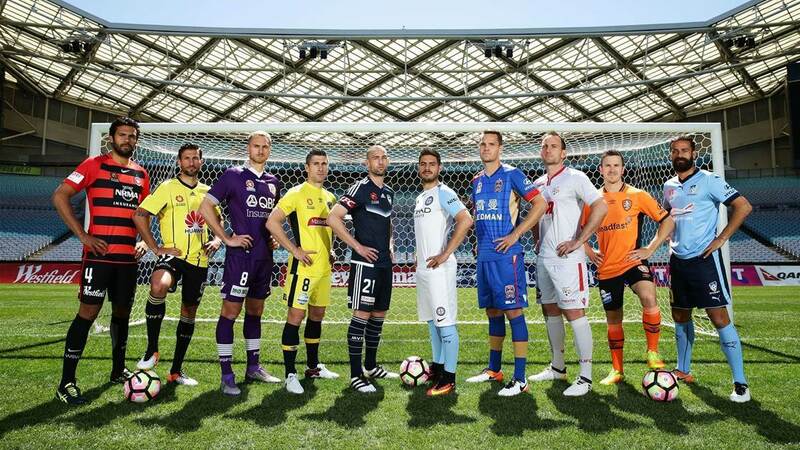 Designed as a tournament closed by franchises and limited to one of these for each city at least in the first five years, the A-League was born with the aim of to empower an Australian soccer team to become more and more present in the most important soccer events: like the World Cup. Other important details that endow this league of personality are the wage limit, the rupture of the traditional system of descents and promotions, and the figure of ‘Marquee Player ‘, soccer emblem of each franchise, as was the case of Alessandro Del Piero, which marked a before and after in the A-League World wide exhibition. However, before the arrival of the legendary soccer player of Juventus of Turin (Italy) There were very positive changes as the seasons advanced. In fact, the first league title was conquered by the Sydney FC, precisely one of the three clubs created for this competition – the other two were the Melbourne Victory and Queensland Roar-; In total eight entities-one of them New Zealand-who struggled for the trophy. Trophy that to raise it first you have to overcome a regular league to later fight in the direct qualifiers for the title. All this from October to April-to avoid the cold months-and giving the three-seater award for the AFC Champions League (Asian Cup): The regular season champion and the A-League winner go directly to the group stage while the second ranked regular league participates since the third round of elimination. How many football teams are there in Australia? 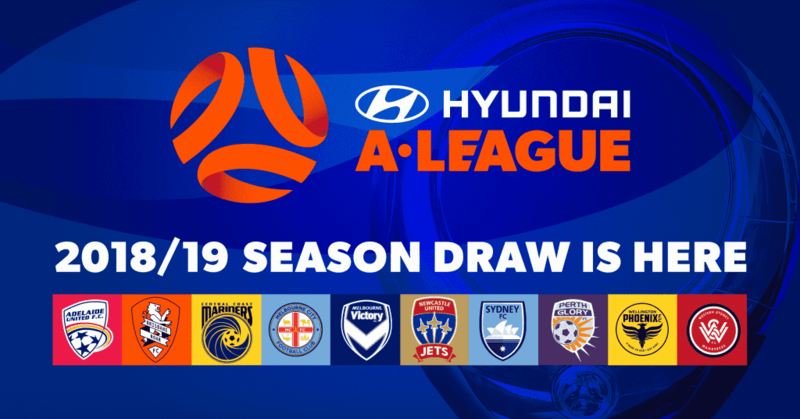 Today there are not eight participating clubs but ten-some already share the same city-and unlike the major leagues of traditional soccer-like the League of Spain-there are no promotions or descents, because below the exclusive a-League there are other Competitions But all of them state, such as that of New South Wales, Queensland or Australian Capital territory. 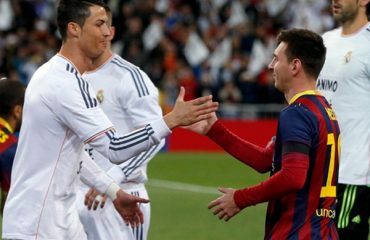 It lasts 27 days and is managed in a traditional way, that is to say, the ten teams participants face each other and concede three points per win, one by draw and zero for defeat. However, there is a variant that is less curious, since the last 27 days are made three rounds to return between the clubs. The first and second classified at the end of the regular league directly access to the semi-finals of Play-off for the title. In the case of Tie to points is untied as the first option according to the difference of goals and as a second who has achieved a greater number of targets in total favor. In the extreme case of continuing to be tied, the direct confrontation between the entities involved dictates the position of each one in the classification. The play-off, or eliminatory for the title, is disputed by the six best classified teams of the regular league with a single match format and with a field factor in favor of the best positioned. In the case of a draw there is an extension and finally a penalty shoot-out. Thus, to resolve who the A-League champion is, three elimination rounds are held: the first round faces the fourth against the fifth and the third against the sixth. The winners advance to the semifinal round and face each other against the first and second, respectively. Who wins those semifinals go to the grand final (Grand Final), duel that the Soccer Federation of Australia has the power to decide in which stadium is disputed, although it usually resolves always in the field of the club that has obtained the best position in the regular season. Ten clubs, a single Great Champion. 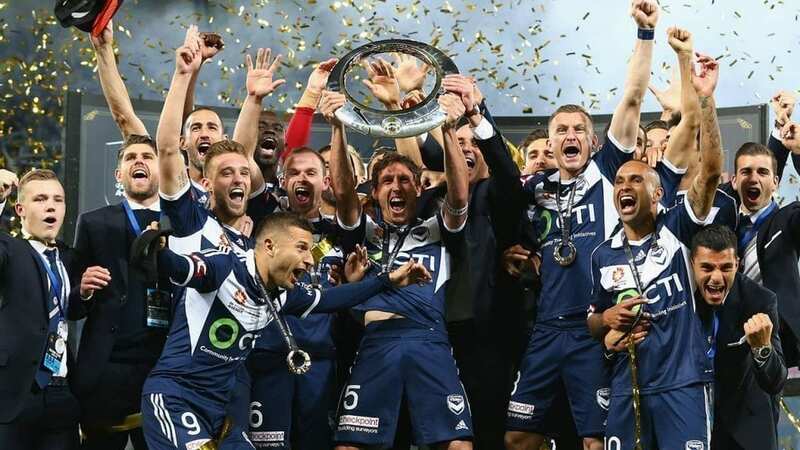 The 2018/2019 season is disputing in its regular phase and all franchises still have a chance to leave league champion and thus dethrone the reigning champion: the Melbourne Victory. A Melbourne Victory Which was imposed by the minimum (0-1) to Newcastle Jets thanks to the goal of Kosta Barbarouses. 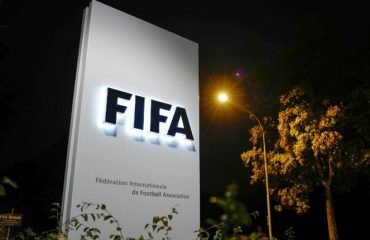 As for the regulations regarding the templates and the wage limit of these ten entities, the Australian Soccer Federation dictates that each set must have between 20 and 23 players, five of them being maximum foreigners (being the fifth Compulsory for soccer players with a temporary visa). It should also be noted that in order to empower young talents all templates must have at least three players under 20 years, thus allowing the number of soccer players per franchise can amount to 26-counting the three extra chips to youth. When it comes to talking about the wage limit, which allows for greater competitive equality for all clubs, The FFA has set it to 2,980,000 of Australian dollars. In addition, soccer players over 20 years old have an annual minimum wage of 61,000 dollars while children under 20 years of 45,686 dollars. 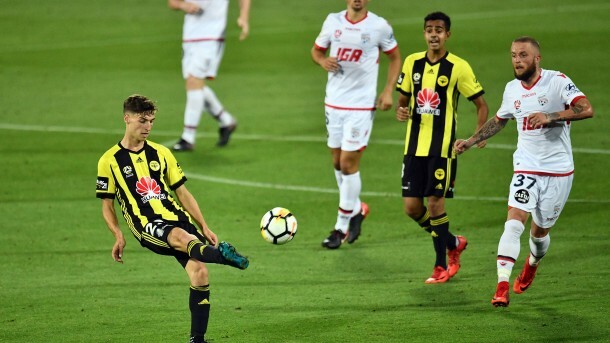 However, the Australian Soccer Federation, aware of the great potential of its league, has several exceptions in its rules to be able to skip the wage limit, because that way it is easier to retain and attract the best players. These exceptions of players with whom you can jump the wage limit are: Soccer players franchises (maximum two), guest player (can play no more than 14 games), players (maximum four), loyal soccer player (a single player to add five seasons Consecutive in the same club), Player with Sport scholarship (up to six under-20 soccer players hired by the minimum wage) and senior rookie (over 21 years and engaged From the state leagues). Now, what franchises compete this season for being victorious in the Grand Final? They are the current champions of the A-League. It is one of the founding franchises and therefore one of the most prized clubs in the country. 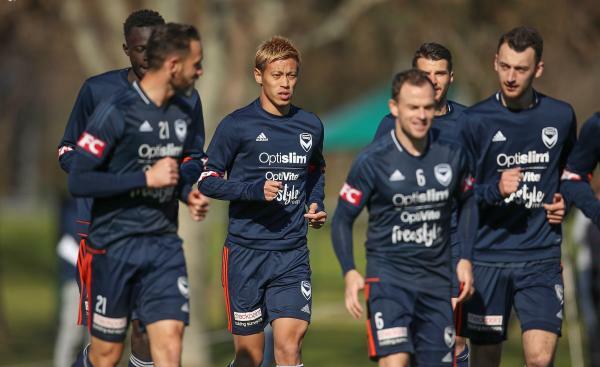 With four titles to his credit, the staff that directs Kevin Muscat has players of the stature of Keisuke Honda, one of the best soccer players in the history of Japan Who has previously been in great repute teams like the AC Milan or CSKA from Moscow. The Swedish front wave Toivonen (PSV Ex International, Rennes, Sunderland and Toulouse), the German Defense Georg Niedermeier, the captain and international by Australia Carl Valeri (defended for a season the colors of Inter of Milan) and Spanish Raúl Baena (indisputable holder several seasons ago in the Real Club Deportivo Espanyol of the First division) are other large Figures. No doubt, it is in all the pools to fight again for the title. He stayed last season with honey on his lips when he fell defeated by the minimum in the Grand Final. This Australian club is another one that is since the creation of the A-League. The staff is trained by Scottish Ernie Merrick and this highlights names like those of Brazilian Jair, the local and international in the past world Dimi Petratos Or The skilled Venezuelan extreme Ronald Vargas, who had before a long and successful career in Belgian soccer when he even played the UEFA champions League. 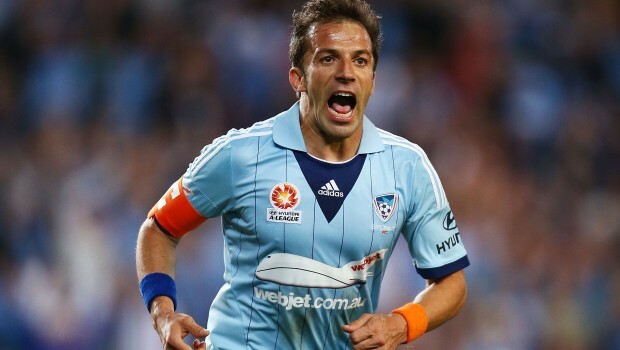 The Sydney FC is probably one of the most recognized Australian franchises worldwide thanks to Del Piero. The Italian star was the emblem of this entity in 2014 and put on the map, especially for Italian fans, the name of Sydney FC on the soccer map. Champion of the regular league, this founding club has won three times the A-League and expects this season to add its fourth success. Trained by Steve Corica, One of the historic players of the Australian team, the staff of the Sydney FC has players like the striker Adam Le Welsh lesson (current top scorer of the 2018/2019 course), the International Aussie Alex Wilkinson, Young Anthony Cáceres (ceded by Manchester City) or the Dutch midfielder Siem De Jong, soccer player who has defended the colors of clubs of the size of Ajax, PSV or Newcastle United. This season’s revelation. 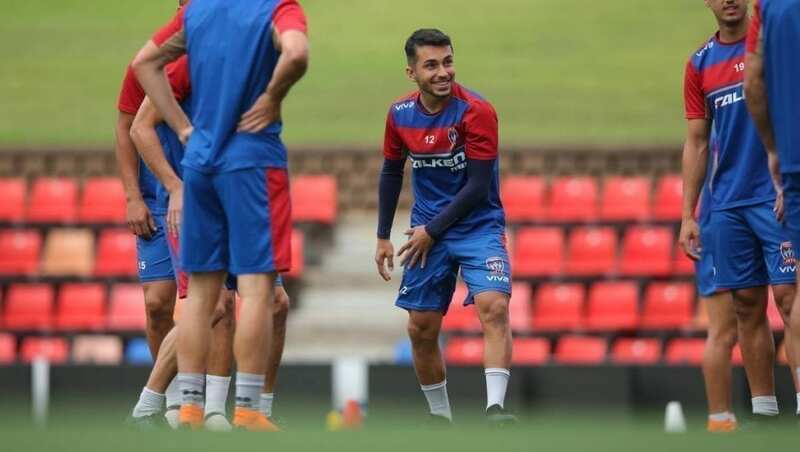 PSolo Rimes of the classification With 34 points of the regular phase, the template directed by Tony Popovic, historical defense of the Crystal Palace English, It is in a moment of exceptional form thanks to a block of experienced players and with a long tour in several European leagues. It is the case of the Spaniards Juande and Diego Castro (a legend in Sporting in Gijón and Getafe), the Irish Andy Keogh Or The local Neil Kilkenny. Club of the last to arrive but soon to have made a hole in the elite. City Property Soccer Group -company that has under its reins to Manchester City, New York City, Yokohama Marinos or Girona-has not yet won the A-League, but hopes that this situation will change soon. From the hand of technician Warren Joyce his staff stands out for his youth. And it is that a large part of this group has under its ranks young promises of Australian soccer. However, in Spain he jumped to fame thanks to the signing of David Villa, who defended his colors during the holiday break of the MLS. Another of the founding franchises of the A-League, league that has conquered twice since its birth. However, at present it is not going through a good moment at the level of success, something they trust to change From this 2019. Knowing how complicated it is to reach the Grand Final, the template directed by Marco Kurz expects his players to give all of himself to spread that competitive spirit to his promises. Its captain, the Spaniard Isaiah, the Danish international Michael Jakobsen Or the German Mirko Boland are the ones who must pull the team until the end of the course. The Central Coast Mariners, club in which was the sports director of the International Soccer Academy in Spain of soccer Inter-Action Rui Tomé, is also part of the eight clubs originating in the A-League. This franchise has had the opportunity to compete four times the Grand Final, but has only been able to emerge victorious from it on one occasion (2012-2013). Beyond the members of his staff, who has highlighted in this last course has been that of Usain Bolt. The star of athletics did not renew with the Mariners For this season and has finally put End point to his adventure as an elite soccer player. The Brisbane Roar It was another of the chosen franchises To fight for the first title of the A-League. 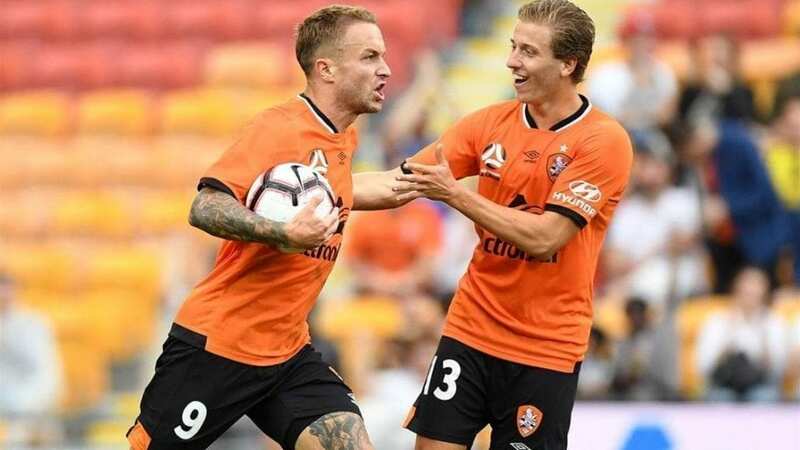 Winner three times of the A-League, it is one of the most powerful entities of the championship, although it can be said that in the last years it has hit a small performance downgrade. However, current players like Álex López (indisputable incumbent several seasons ago in the first Division Spanish of the hand of the Celta of Vigo), the local and international Matt McKay or the Dane ex of Rosenborg Tobias Mikkelsen give an extra competitiveness to a large Australian soccer. The only non-Australian a-League franchise. Located in the city of Wellington (New Zealand) was founded in 2007 and since then fights course after course to get his first title. Sales team more than buyer every season has to strive to the fullest to compensate for the loss of its most outstanding players, something that it does with promises from New Zealand, although it is not an easy task. The Spanish soccer player Mandi It is one of the most outstanding in the international world. 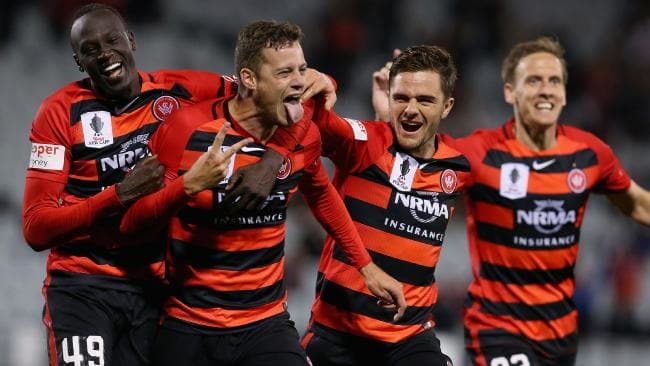 Like the Melbourne City the Western Sydney Wanderers was another of the last to reach the A-League that has entered with great force in Australian soccer. And it is that in a short time the second set of Sydney He has not achieved any title (three-time runner-up) but has raised the AFC Champions League (2014). He is currently trained by the historical soccer player Markus Babbel and counts in his ranks with players of the stature of Spanish Oriol Riera, the Germans Baumjohann and Patrick Ziegler or the local Mark Bridge. It is not at all strange to see Australia competing in the final phase of the FIFA World Cup. The combined Aussie He is a regular in the draw and on more than one occasion have given a scare to the selections aspiring to the title. In fact, the English Premier League is one of the leagues that has helped to grow the Cracks Australians, being Tim Cahill the great referent. The great captain is a legend worldwide thanks especially to his sensational performances with the elastic ‘Socceroos’. And it is that this versatile attacker became the first Australian to achieve a goal in a World Cup and two editions later entered the history of this competition by joining the exclusive group of players to score in three consecutive World Cups. Moreover, this excellent head finisher, despite its low altitude, is a legend in the Everton English, coming even to become the great captain of that important British ensemble. Next to Tim Cahill There are several soccer players who have joined Pedestal Aussie of legendary soccer players. Mark Viduka, Harry Kewell, Mark Schwarzer, Lucas Neil, John AloisiMark Bresciano And today Mile Jedinak, Robie KruseTom Rogic And Mathew Ryan are the ones who have marked and make a difference for the benefit of this sport. 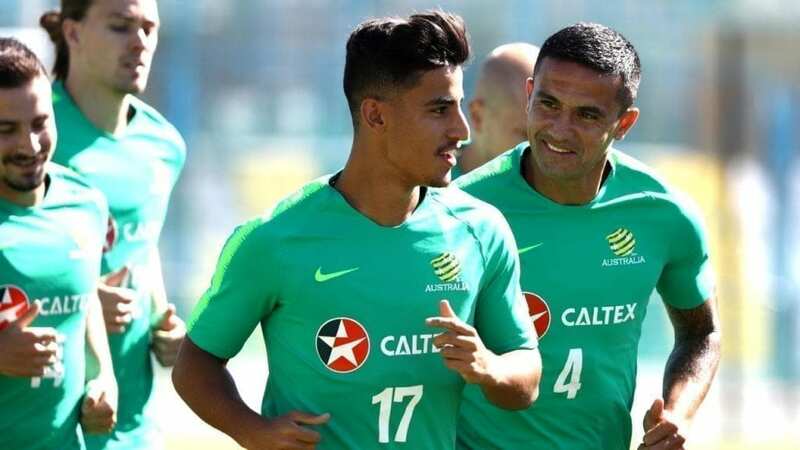 Also noteworthy is the great promise Daniel Arzani, skillful and electric end of Manchester City (ceded this course to Celtic FC) of only 20 years called to lead in the future to ‘Socceroos’. Who will be next Daniel Arzani? There is no doubt that soon we will know, as soccer in Australia wins every league day that passes and that is especially noticeable in academies and soccer schools, both national and international. This is the case of the International Soccer Academy of soccer Inter-Action. Our High performance Sports Center is a benchmark in Spain for the young promises Aussies. In fact, there have been and many who have relied on the services of Soccer Inter-Action And the professionals around him: Coaches trained under the methodology of FC Porto and the staff that controls and manages the development of both soccer and staff of the young soccer player. In addition, FC Porto’s bid for our soccer school in Spain allows internal players at the International soccer Academy to compete defending the colors of this award-winning Portuguese club. The last to become part of the family of the Soccer Inter-Action, it’s been Zane Dubiez, who joined the high-performance center just after the soccer Camps in Spain organized by SIA and FC Porto. With a Clinic Personalized and focused on enhancing the player’s skills, Zane managed to surprise technicians with their desire to learn and soccer potential. Together with Zane, they also played a major role in our international soccer Academy in Spain, Dani and Jordan, which successfully completed its long program in SIA and today face today making a place in the elite of the king sport.